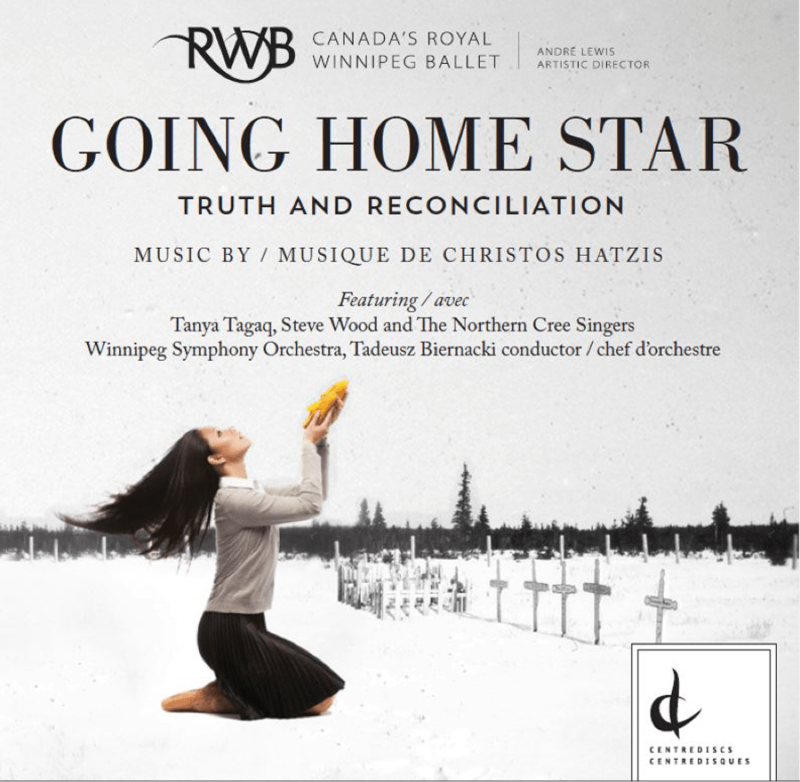 Going Home Star, Music by Christos Hatzis, featuring Tanya Tagaq, Steve Wood and the Northern Cree Singers, and the Winnipeg Symphony Orchestra, is now available on the Centrediscs label and distributed by Naxos. It is also available at Amazon.ca and on iTunes and on the Centrediscs website. The Royal Winnipeg Ballet will be touring this work Starting in January 2016 in Ottawa and working its way west across Canada. Watch for it!